Are you planning to have a website of your own or you have a website for your online business, whether big or small? Only having a website does not work, you need to have an SEO optimized website to attract a number of visitors on your site. If you wish to check whether your site is SEO optimized or not, then a very good way is to analyze the website online. Today there are many software options available that can help you in getting your website analyzed. The software offers you the best option in knowing about the website through as many as 50 criteria. 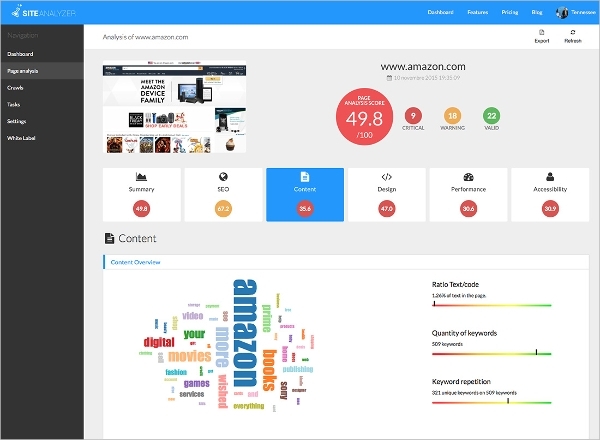 It lets you analyze the content, security, SEO, keyword research, accessibility, design and many similar SEO related options. It provides an entire list of the options in which the site owner has to improve. The software offers SEO analysis for your site that is not only quick but also simple to be done. 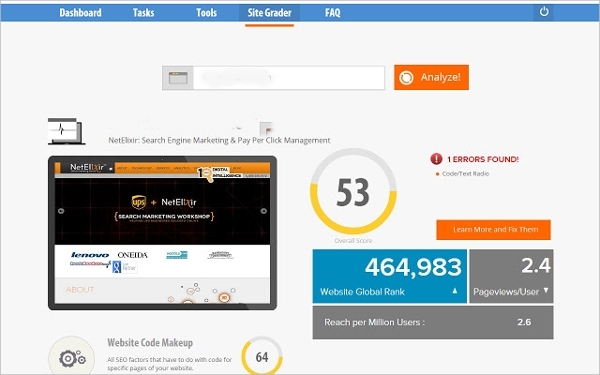 The tool helps you in improving your site page on SEO terms and also it can test any subpage. Not only this, the software provides you with a free report in PDF format and also helps you with various SEO tips. 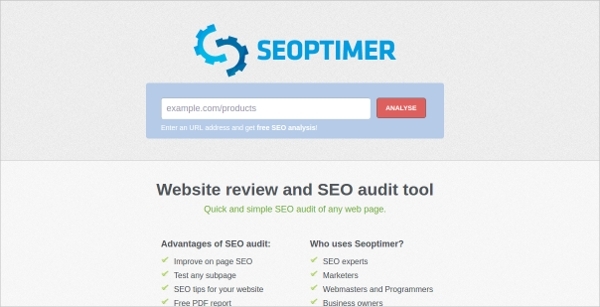 This tool can be said to be a perfect one for your all SEO needs. It not only provides you about the corners where you need to correct the SEO related issues for your website but also helps you in knowing about the SEO profile of your competitor websites. The tool offers SEO reports that are easily understandable and acted upon. 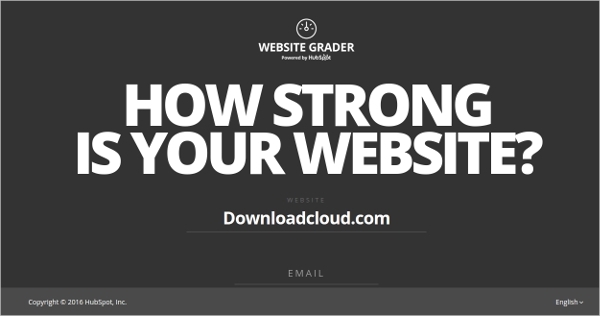 Do you wish to know about how strong your website is and how much it is capable of attracting visitors so that it can be converted into potential customers? All you need to do is just provide the link to the website and provide your email id; the software will analyze your site and then will mail you the SEO report for the site. Seomator is mainly used by different SEO experts and also by professional agencies. 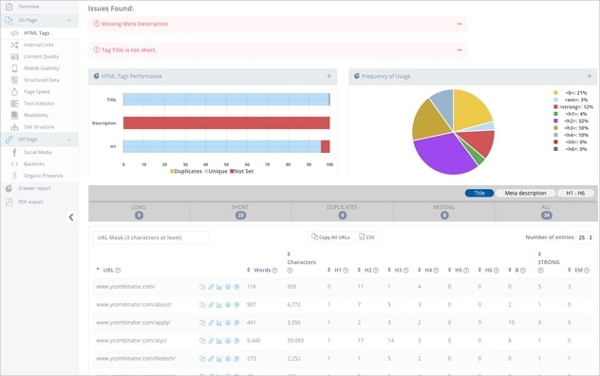 The tool features a very modern interface that offers SEO audit reports of the websites quite fast and in an understandable way. The best part is that it is well integrated with various third-party tools such as WordPress to provide you even better performance. LXRSEO is one of the most affordable tools for SEO analyzing of a website. It offers various features such as an SEO report of the website on as many as 25 parameters in a free PDF report. 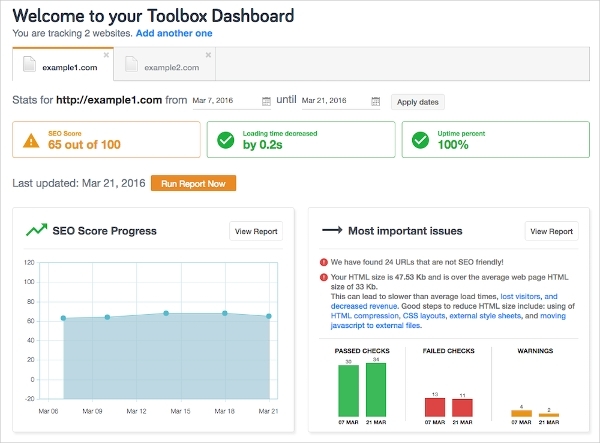 It tracks the daily performance of your website and also compares the SEO compatibility of the website with other 5 related sites. Site Inspector is a perfect site analysis tool that provides a complete analysis of the site to provide you a list of corrections to be done in various areas such as keyword, content, design, promotion, marketing and of course maintenance. It provides you not only the corrections to be made but also the latest trends that you can incorporate into the site. 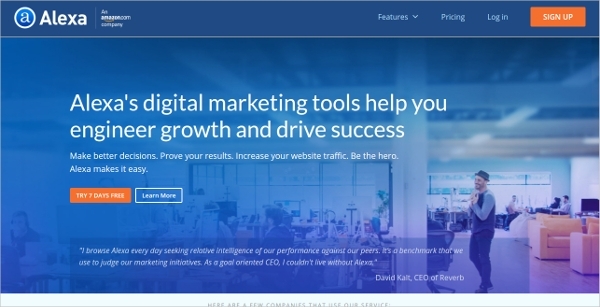 What is Site Analysis Tool? SEO or Search Engine optimization is the most important thing that is needed today for any website. The process not only helps in getting enough traffic for the website but also helps in converting the visitors into potential customers over the time. Today various Site Analysis Tools are used by different Webmasters ad programmers to know about the places where a particular site is lacking SEO wise. The report that the software comes up with explains various points to work in and also the performance of the site. On the basis of this report, proper actions are taken to improve the site. If you are in online website business then it is important to have that competitive intelligence in you. Site analysis tool helps you in getting that intelligence so that you can understand your drawbacks and can improve upon them to be successful and to make your website rank high in the search engines.